You were still suffering from Placenta Brain and it’s ok to not remember it. Your mom has documented it for all of posterity. Maybe, but maybe not, one day you’ll remember some other teeny thin from this day, like, say, you drank fruit punch and had a linty sourball in your pocket. And it’ll all come back to you. Or not. 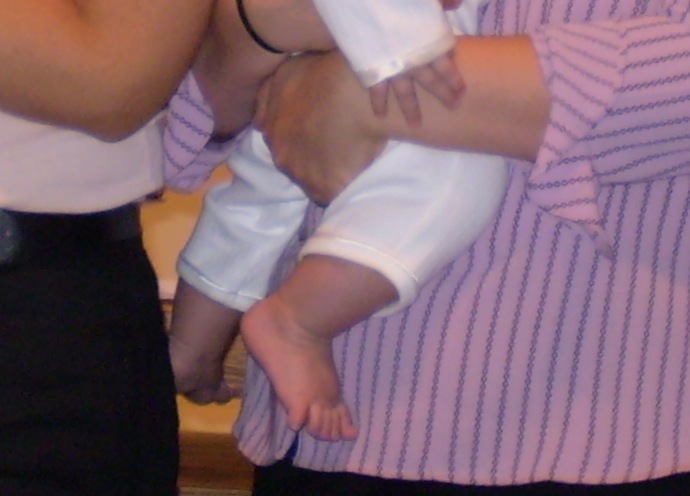 What do you mean I was baptized in pajamas???? And only given the first sacrament in a trade off with The Lord to stop crying??? Nice. My whole spiritual life started as a bribe. Good to know. 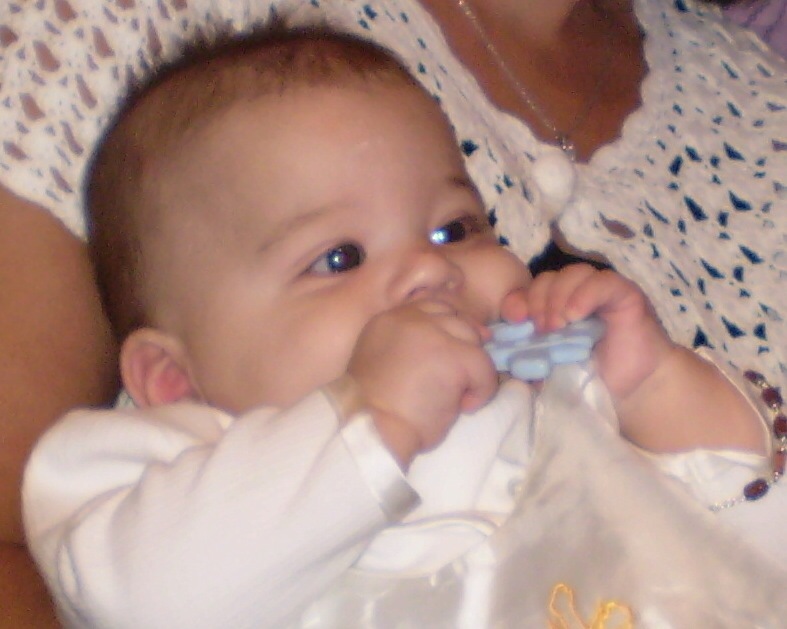 BTW…..your sister was baptized in a white baby sleeper. It was -15 degrees outside, she never slept and cried all the time. It was so cold the windows to our apartment were frosted over and our car battery was in the spare bedroom. A Dr. Zhivago kind of moment! I baptized her hoping for a miracle to make her stop crying and let her (and me) sleep. Mom’s do what they have to do when they have to do it. Don’t think you are the only one! 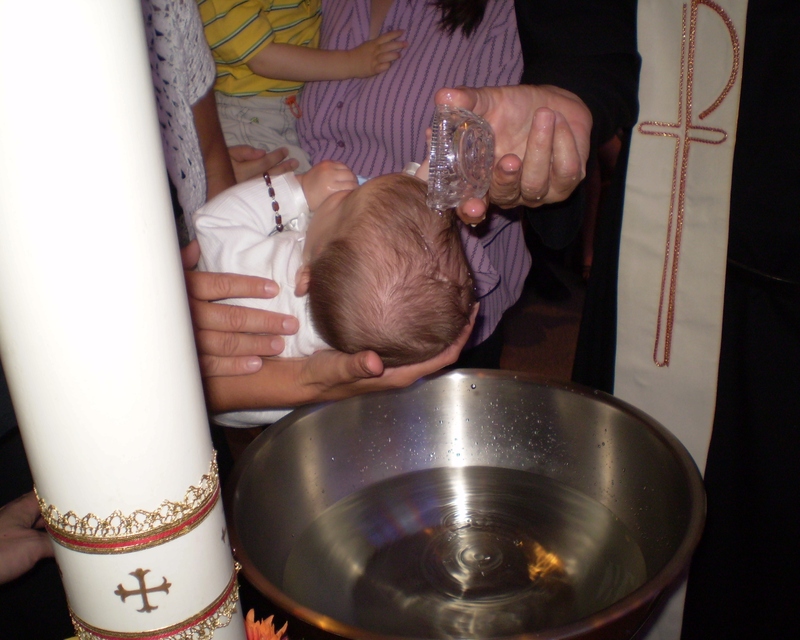 Boo got baptized and we now have proof!!! 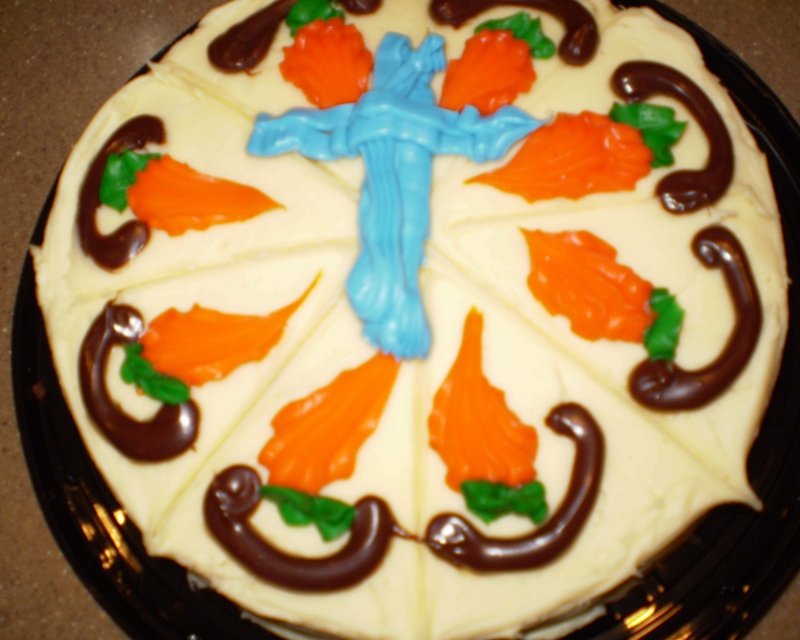 The carrot cake was delicious!